A genius teenager used the universal love for pizza to finesse her way into Yale. Carolina Williams, who just graduated high school in Tennessee, must have seen the prompt in the admissions application (“Write about something that you love to do”) and realized she’d been given a gift from the essay gods. 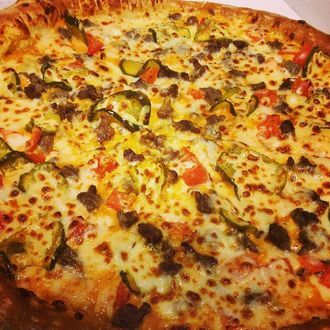 Williams knew two things — everybody is obsessed with pizza, and nobody loves eating Papa John’s as much as she does — so she figured a 200-word love letter to the chain was as solid a ticket in as anything. Realistically speaking, declaring love for Papa John’s specifically was gutsy, but maybe that bold move was what really put her application over the edge. Funny part is, she tells AL.com that she’s going to Auburn instead anyway. Everyone should have seen this coming, though: College in New Haven, despite the city being a pizza haven, would mean four years living 30 minutes from the nearest Papa John’s.